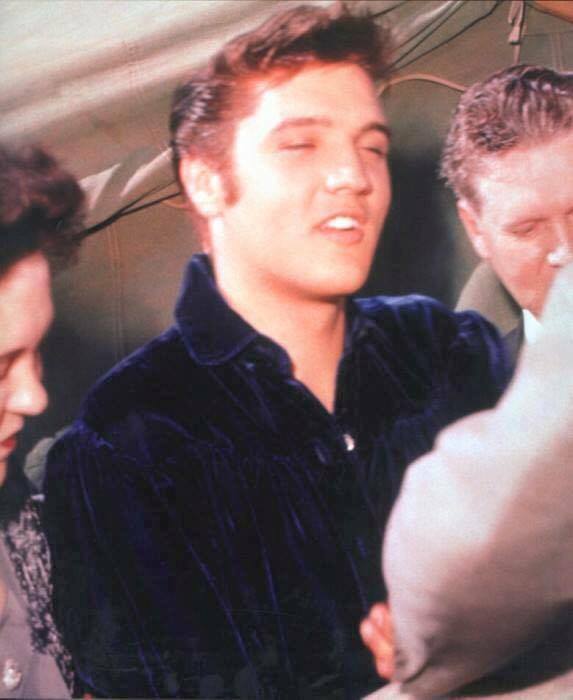 Elvis Presley wore this custom blue velvet long-sleeved shirt when he performed at his historic concert at the Mississippi-Alabama Fair and Dairy Show on September 26th, 1956. 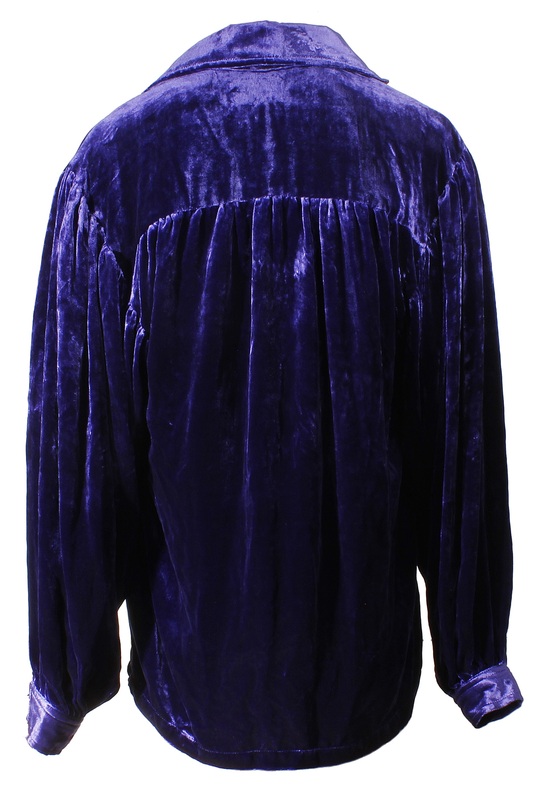 There were two shows that day, Elvis wore this custom blue velvet shirt during the day concert and he wore a custom red velvet shirt for the evening concert. 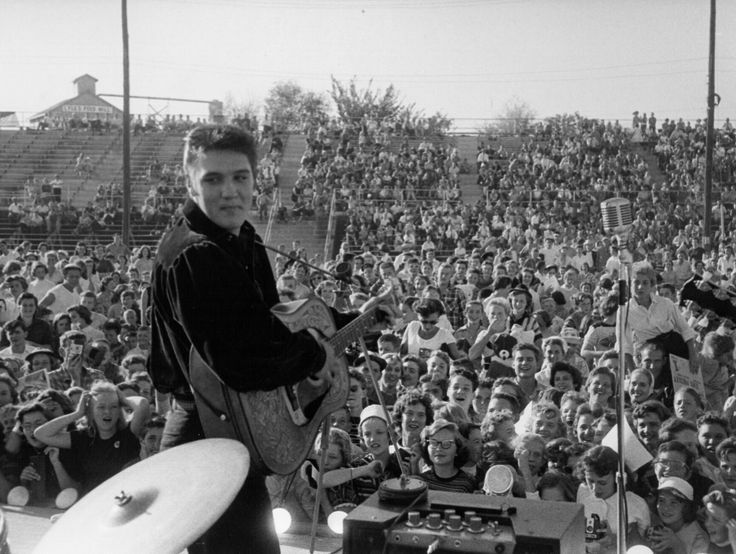 Elvis’ parents accompanied him to this momentous concert that marked Elvis’ return to his home town as a bona fide star, and the venue was especially fitting as he had performed there for the first time at the age of 10. 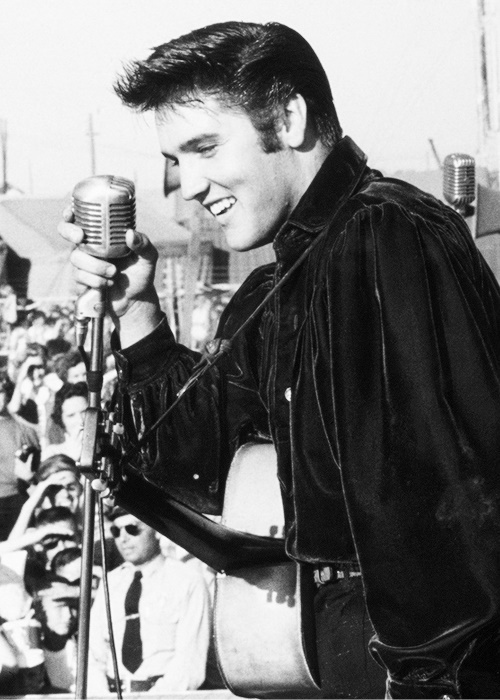 The day was proclaimed as “Elvis Presley Day” in Tupelo to mark this historic occasion. Hollywood movie star Natalie Wood had gifted both shirts to Elvis. 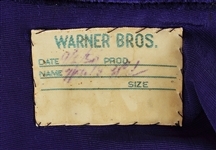 Natalie, who was under contract to Warner Brothers Studios, had the two shirts custom made by her costumer at the studio evidenced here in the offered custom made blue velvet shirt bearing the Warner Brothers Studio wardrobe department label. 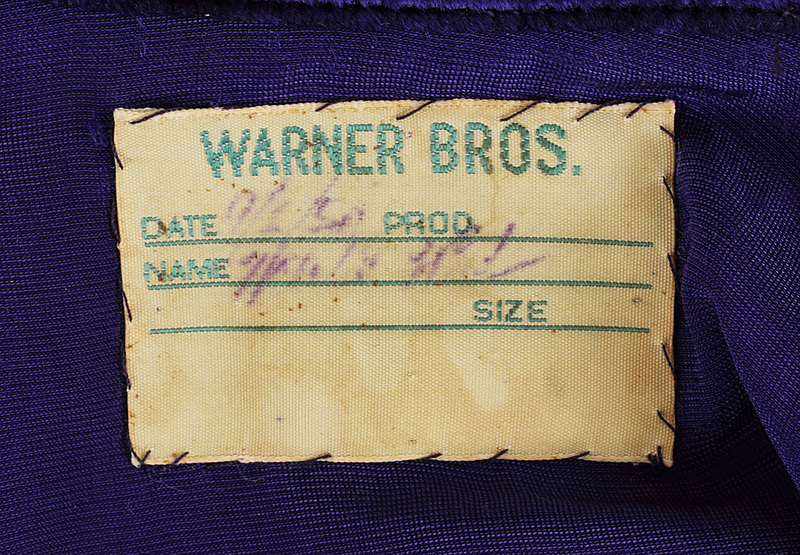 The label has the date“9/1/56” and Natalie’s name “Natalie Wood” handwritten on it in blue ink. 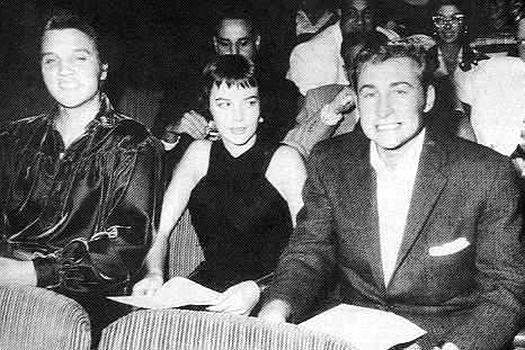 Natalie had gifted the shirt offered here (as well as the matching red one) to Elvis in the late summer of 1956 while he was working on his first film, “Love Me Tender” (he started filming on August 22). 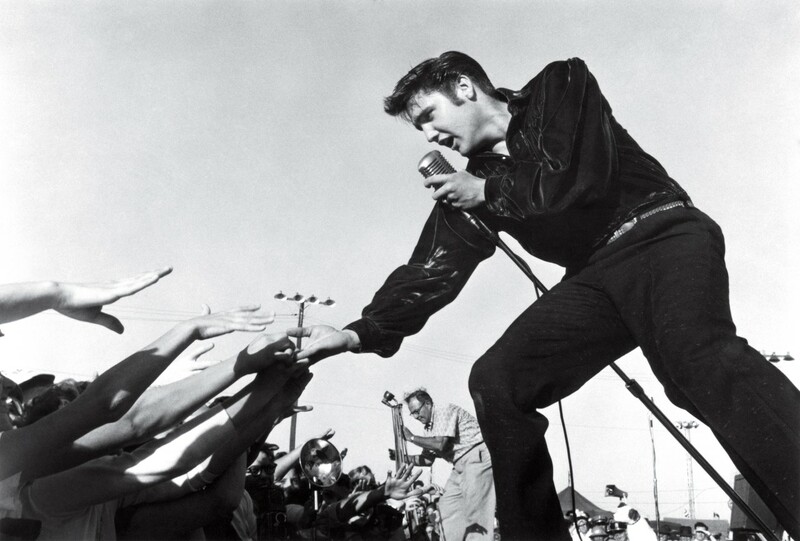 In the book “Elvis at the Mississippi-Alabama Fair and Dairy Show Tupelo September 26, 1956” it’s cited that while Elvis tried to get as close to his fans and interact with them while he was on the stage as best as he could at the afternoon show (when this offered shirt was worn) one of the screaming worshipers got too close and Elvis had a button torn from this shirt. The offered shirt here has two of the five gold metal shank buttons missing. One from the left cuff and one from the 3 button placket opening of this pullover shirt. Additionally the shirt has what appears to be moth damage of three small holes at the bottom of the front left bottom edge. Elvis never wore either of the custom shirts he wore that day for another performance. 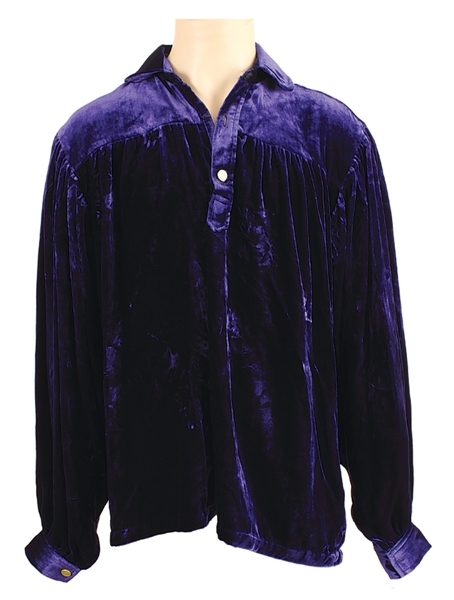 The blue velvet shirt offered here remained packed away with other clothing in boxes stored in the attic of Graceland until late 1977 when the boxes from the attic were bought down and opened up. 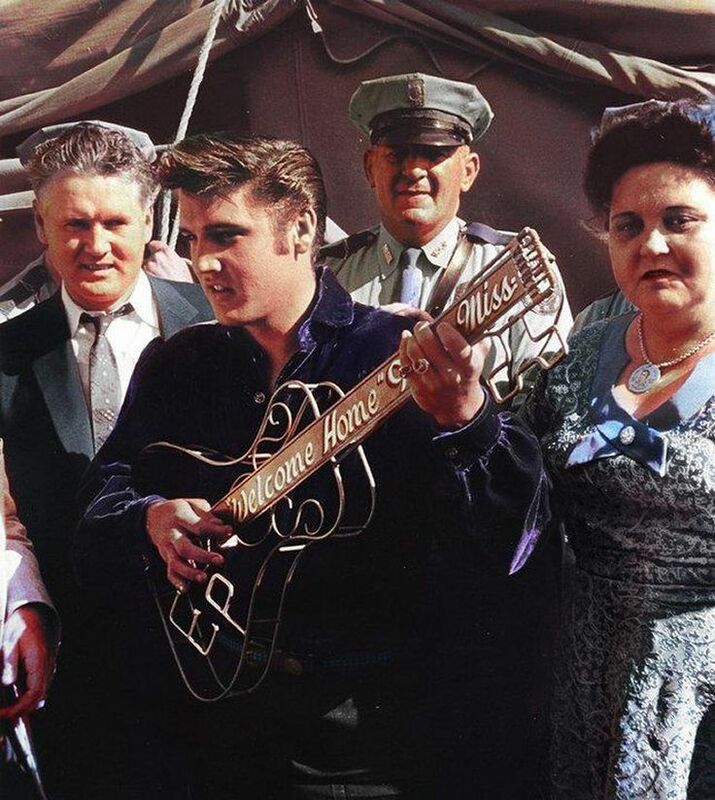 It's at that time that Elvis' Aunt Delta Mae Biggs who lived at Graceland, obtained the shirt from Elvis' father Vernon Presley. The shirt comes with a letter of provenance from Delta Mae Biggs and photos of Elvis wearing the shirt both on and off stage. Also comes with a Gotta Have Rock & Roll™ Certificate of Authenticity. Auction closed on Saturday, December 1, 2018.